Although everyone is back to school and the campfires have mostly been extinguished, my daughter keeps asking me for s’mores. So I made some easy ones in the oven. They were pretty easy to make. Easy clean up too! Set your oven broiler to low. I recommend using parchment paper or tin foil on your sheet pan to make clean up super easy. 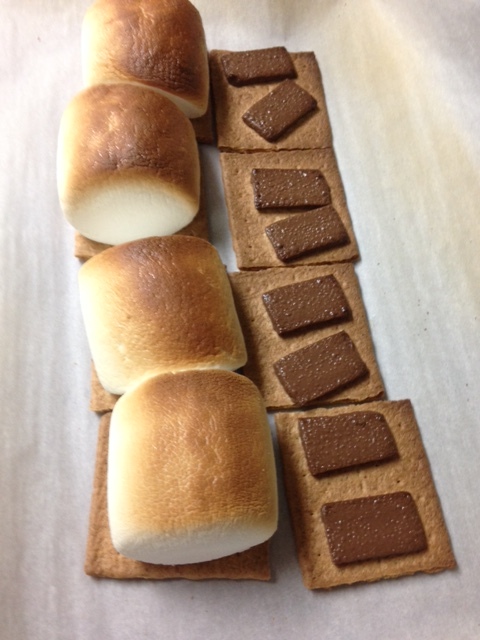 Place chocolate on one side of the graham cracker, marshmallows on the other. Put sheet pan it the center of the oven (not directly under the broiler). 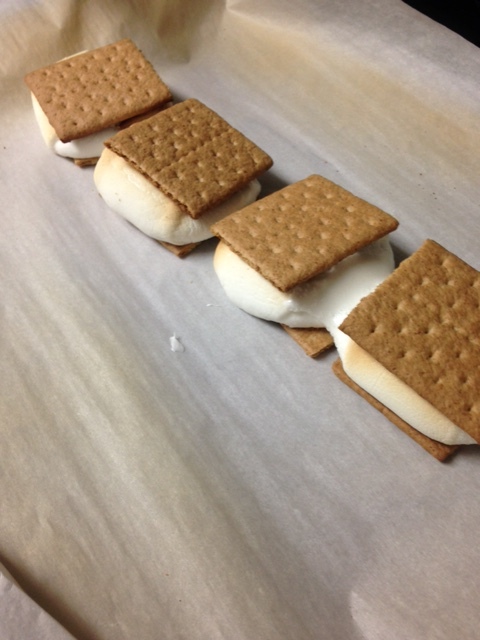 Check on marshmallows every minute or so, they will brown quickly. 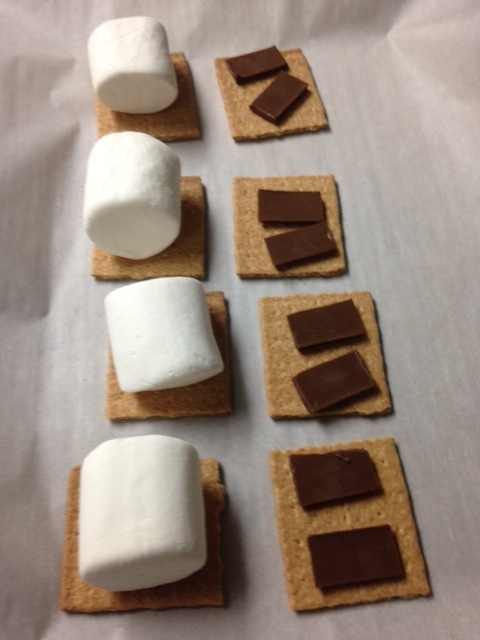 Tags: chocolate, graham crackers, in the oven, make s'mores in the oven, make s'mores without a fire, marshmallows], smores, under the broiler. Bookmark the permalink.